Last weekend we had our first usd sacnas meeting of the year out in the beautiful Strata Plaza behind the Shiley Center for Science and Technology. 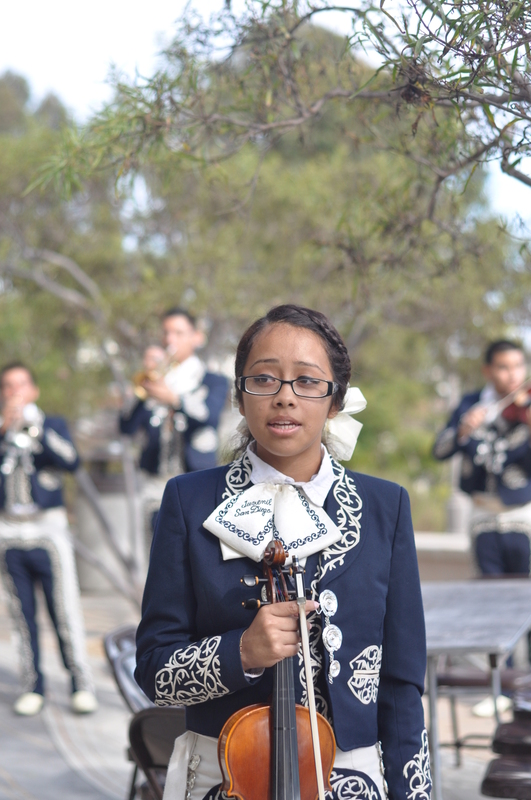 It was a great time - we got to meet interested (and interesting) students, enjoy fresh, authentic tacos, and listen to some professional mariachi music, compliments of Mariachi Juvenil de San Diego and Serafin Paredes from the University of San Diego Music Department. I should point out that the mariachis were as fun to talk to as their were to listen to! For those who missed it, there will be more events this semester - please check out usdsacnas.org on occasion for updates.